Call in and you could WIN! 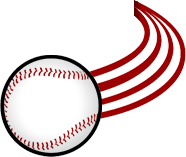 The Larks and ROCK 101 want to give the chance to score some SWEET swag this season with the Rockin’ at Bat promotion. Every home game, the Larks will pick ONE ROCKIN’ BATTER. When this batter is up to bat, our statisticians will have their eyes peeled — and you should too! We will log a pitch-by-pitch breakdown and send it to our friends, Jay and Ginger G at ROCK 101. When you leave the game, make sure to turn your dial to ROCK 101 and tune in the next morning. Listen closely for the cue to call. If you guess the pitch the Larks player hit, you will win AWESOME prizes including tickets, bobbleheads, hats and t-shirts!